Bread crumbs are widely used food supplements, mainly used for Western fried steaks, fried chicken legs and other fried accessories. Our company has developed an entire automatic production line from raw materials, puffing, smashing, drying to finished products according to the needs of the market. Raw materials are mainly made from flour. The products are bread crumbs and bread crumbs, which are mainly used for frying steaks, fried chicken legs and fried chicken fillets. The production process is from the fabric input to the crushing molding, which is produced by the assembly line. The number of personnel is small, the surplus materials can be reused, no waste, the manufacturing cost is reduced, and the labor productivity is improved. Machine material: All machines are made of stainless steel. Corresponding to multi-row high-quality products, it is suitable for high-volume production of bread crumbs. The conveying part adopts a belt structure, and the bread crumb is less damaged, so that the bread crumb is well attached to the surface of the food. Both dry and wet bread crumbs can be used, especially for wet bread crumbs. The output part adopts the patented spring spiral technology, which does not damage the surface of the product. It is very clean and hygienic to clean every corner of the machine with just a few parts removed. 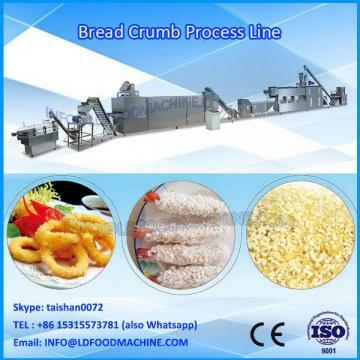 Bread Crumb Process Line is designed based on advanced extrusion technology, and its quality and operation have reached the domestic advanced level. 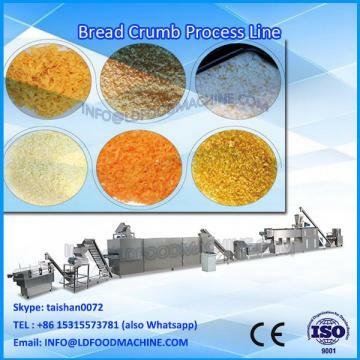 The production line has changed the production process of traditional bread crumbs. The production line process is mixing, extrusion, cutting, crushing, drying, and automation. 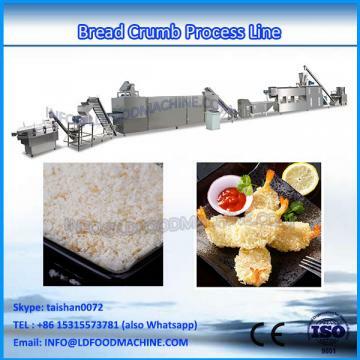 Bread crumbs are widely used in food supplements for the surface coating of fried foods such as fried chicken, fish, seafood (shrimp) and onions. Its flavor is crispy and soft, delicious and delicious.